I have always been obsessed with the colour - Blue and everything under the sea. When I was this place trending on Instagram, I knew I have to visit it someday! I didn't expect that day to come so soon. It was an impromptu trip to Bangkok with my girls because we manage to find some good deals for flights from Kuala Lumpur to Bangkok. 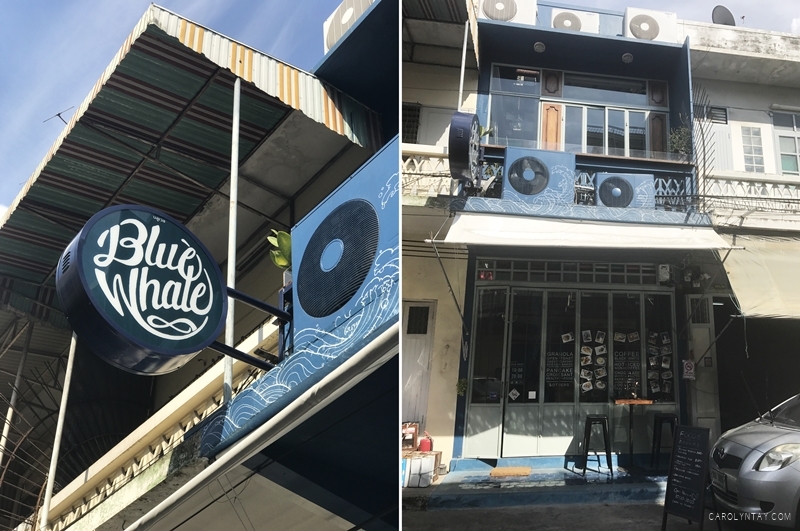 So without much hesitance, Blue Whale Cafe - here we come! 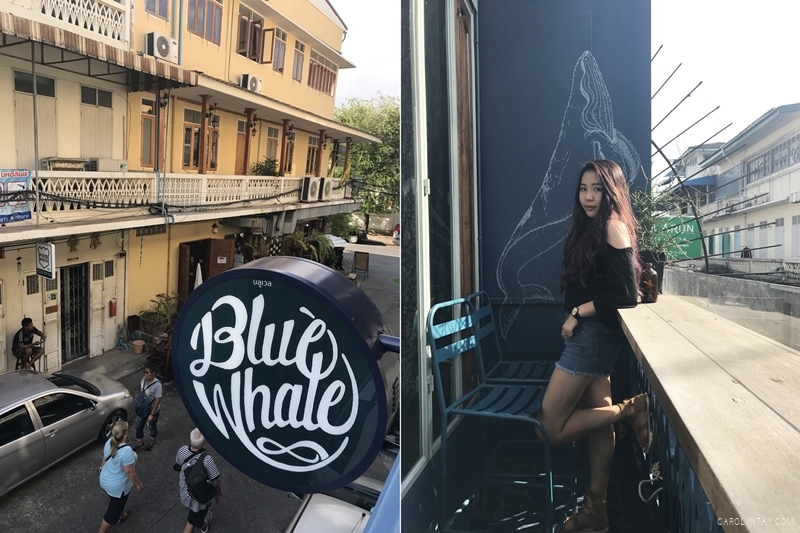 The Blue Whale Cafe is situated quite a distance from Central world area so we took grab/uber there since we have 4 of us. It's way cheaper than taking the train if you are travelling more than 3 pax. This place is located in the touristy area along Chao Phraya River, with The Grand Palace, Wat Pho, Wat Arun in the vicinity. The famous temples in Bangkok you see almost printed everywhere. So plan ahead so you can enjoy all these in a day! Upon arrival, the place is much smaller than expected but it is definitely as blue as you see in pictures. 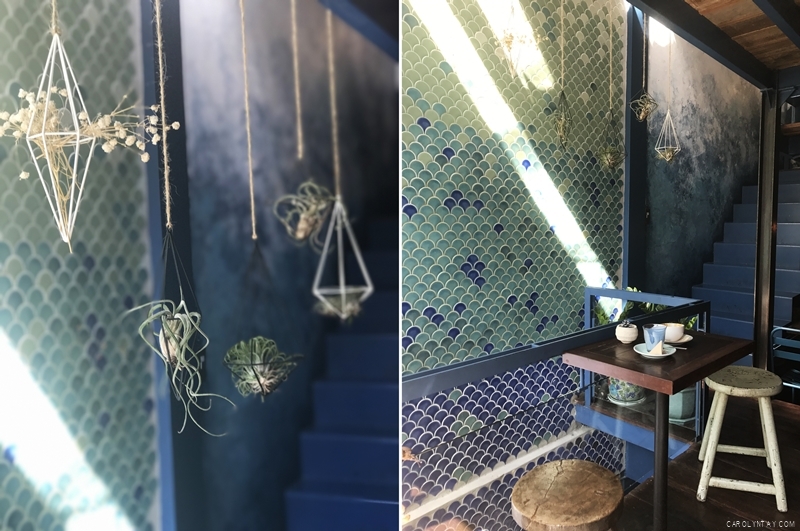 Every corner is Insta-worthy and the servers are dressed in shades of blue with hints of white and grey. I wanted to ask them do they stock up their wardrobe with blue clothing for this job. I'm pretty sure they do though. 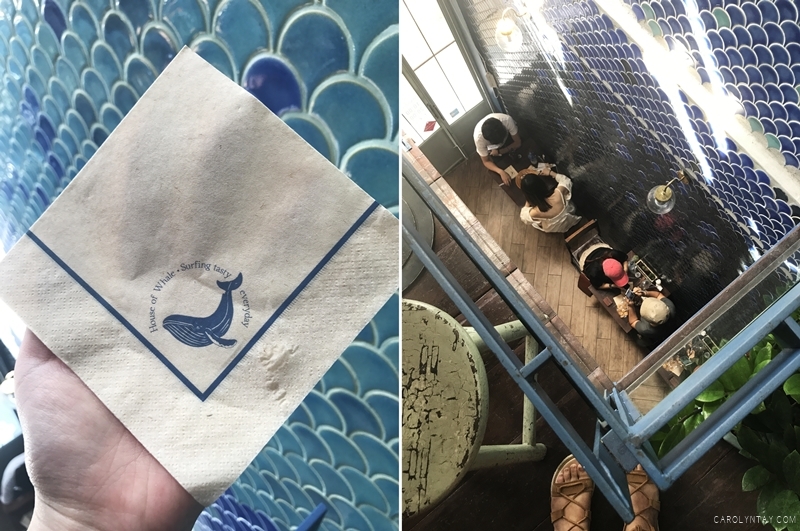 The cafe is a 3-story tall building painted in blue, with balcony seats at the second level overlooking the street below and glass rooftop for that natural sunlight. It is really gorgeous and as pretty as I was expecting it to be. We ordered everything blue on the menu and of course - everything Thai tea flavored! The food and beverages were affordable, not too expensive for a Bangkok cafe price. 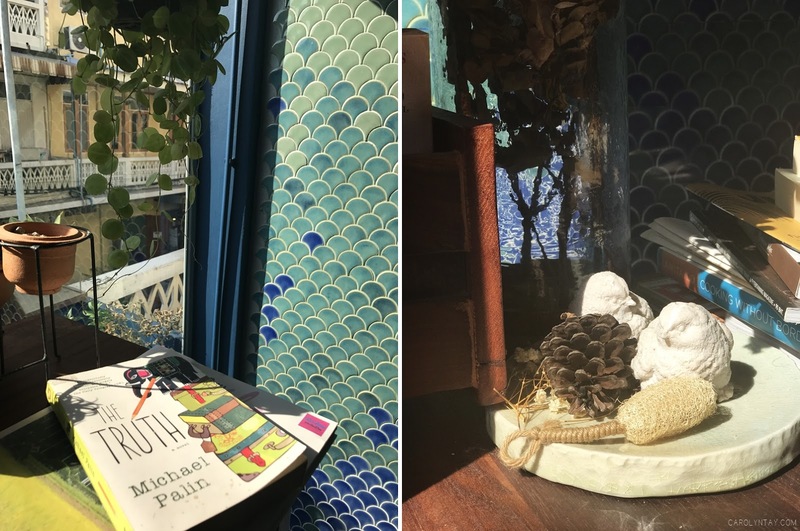 I'm really obsessed with the mermaid scales wall and would 100% want this somewhere in my future house. We have to go up this narrow stairway to the second floor where there is only 4 tables here. We went on a weekday so we are really lucky to be able to enjoy a mini photoshoot session here. 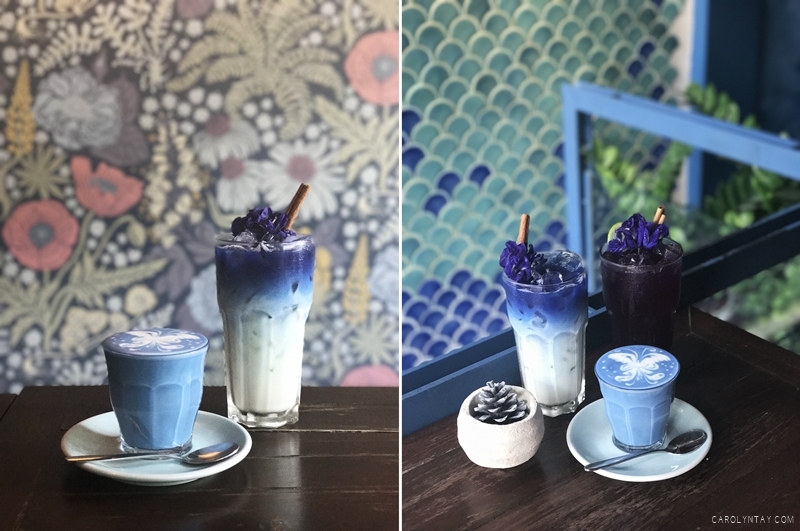 We ordered the Iced Butterfly Pea Latte (THB120) which is butterfly pea liquid to milk, topped with edible flower and a cinnamon stick. The drink definitely looks much better than it taste. 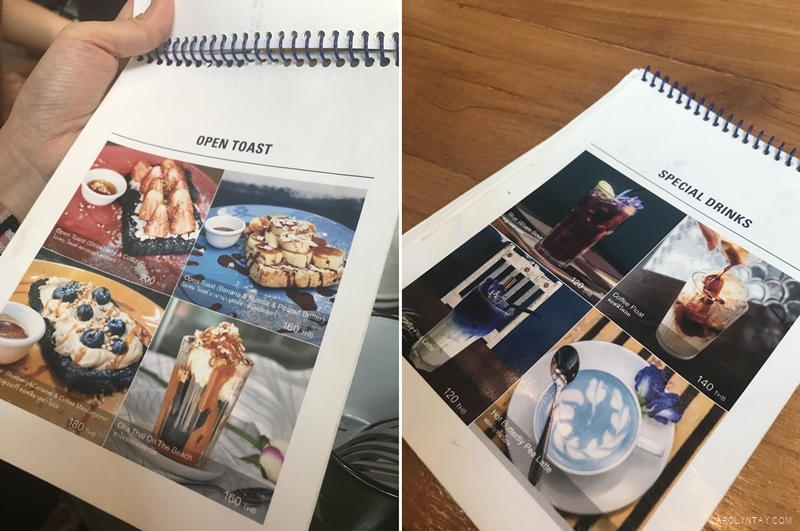 We also ordered the Hot Butterfly Pea Latte (THB120) which tasted more like warm milk to me. The butterfly pea liquid is kind of tasteless. 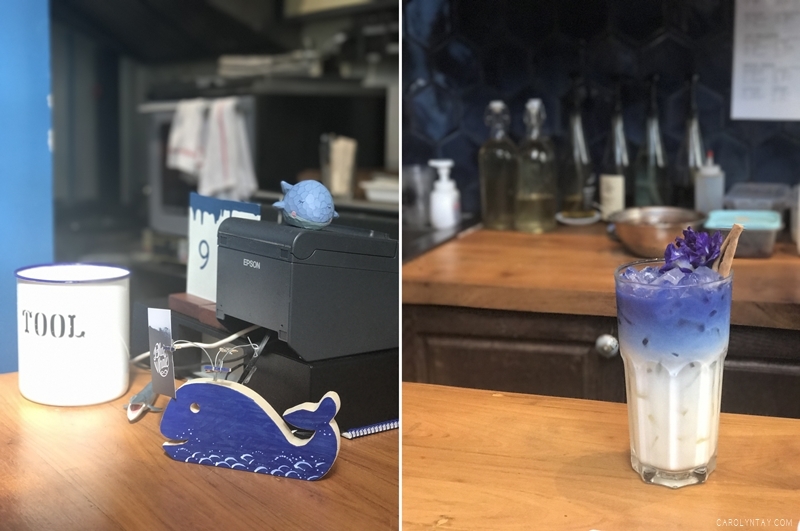 Besides that, we ordered the Blue Whale Sour (THB120) which was quite a surprise for us! It is this purple drink that is sweet, sour and really refreshing for the hot Bangkok weather! I really don't know how to describe it but it is good. We also went for the Cha Thai on the beach (THB160) and the Blueberry, Caramel and Coffee mascarpone toast (THB180). The Cha Thai on the beach is really good, the thai milk tea is really strong but not overpoweringly sweet. 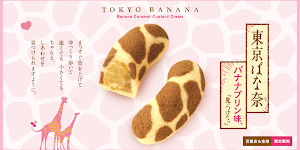 They have crispy bits of biscuits inside. However, Blueberry, Caramel and Coffee mascarpone toast was okay. Maybe we were expecting too much by the looks of it on the menu. 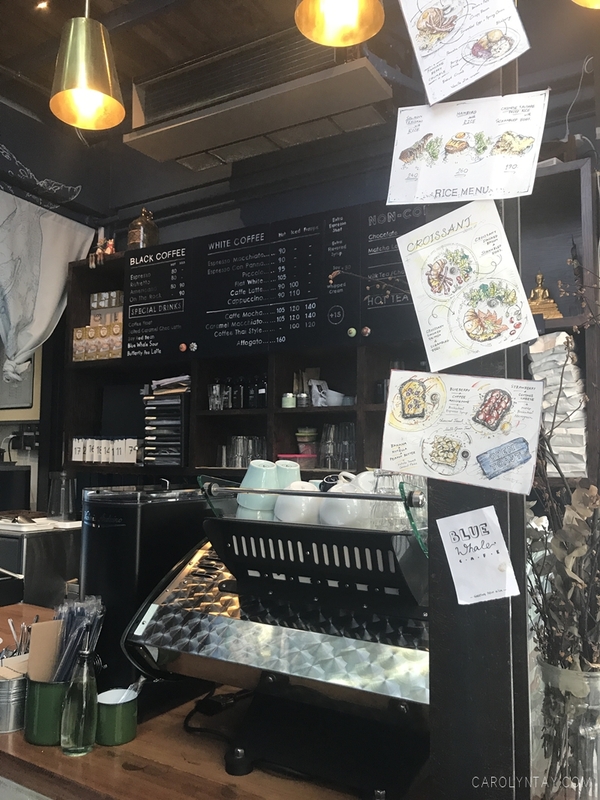 I do have high expectations for cafes in Bangkok because I went to too many good ones. Tip: There are very limited seats only so do visit this cafe on a weekday to enjoy the cafe and take good pictures. A lot of people tend to ask me how I can afford to travel so frequent. One of my ultimate tip is to look out for great deals and do your research well. One of my favourite website is Traveloka Malaysia, they have tons of deals on flights and hotels. You will definitely get to enjoy some savings there! 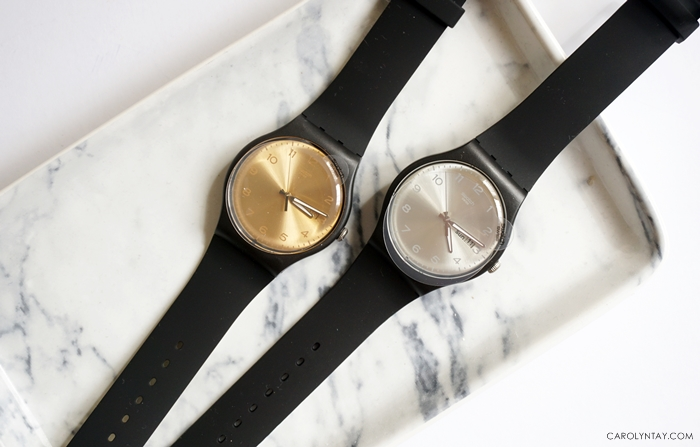 Opening Hours: 10:00am – 8:00pm (Fri – Wed), Closed on Thursdays.